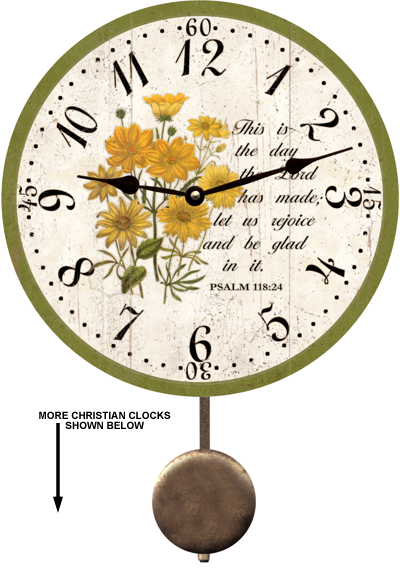 Our Christian Clock features beautiful yellow flowers. 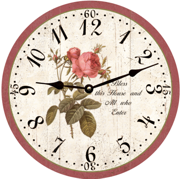 It reads " This is the day the Lord has made, let us rejoice and be glad in it. 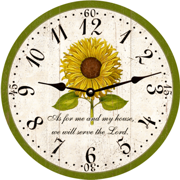 PSALM 118:24. 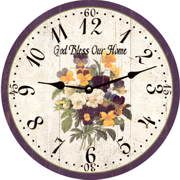 Christian Clock has a neutral aged look to blend with any decor. 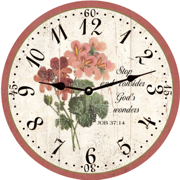 "CHRISTIAN CLOCK " Shown with pendulum option.